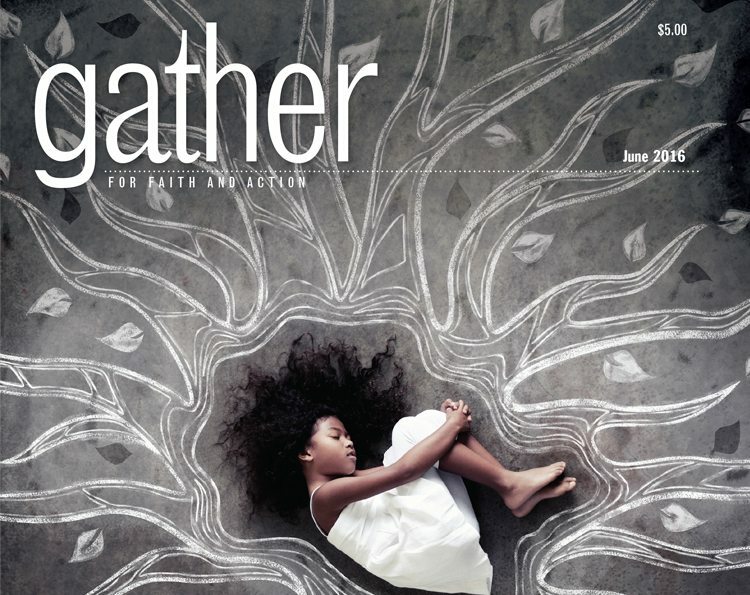 Gather has a number of options for those looking to purchase a gift or congregational subscription. To learn more about purchasing an audio subscription, call 1-844-409-0576. 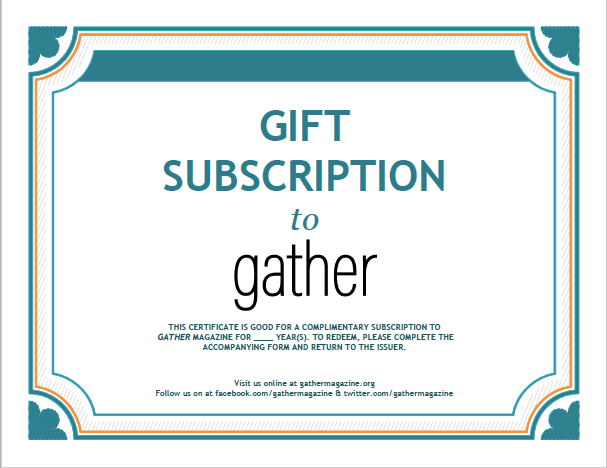 Choose this option if you want to receive your subscription in bulk: multiple copies of each month’s issue will come to one address. Use this resource to download a certificate for gift recipient, gather their information and come back later to purchase a subscription. Choose this option if you are ready to purchase a subscription for someone else. Choose this option if you are ready to purchase a subscription for someone else.